QM2 launched the rescue boat. It maneuvered so that the yacht was sandwiched between the rescue boat and QM2. Wheatley tossed a backpack containing his passport, wallet and a change of clothes into the rescue boat. He then disappeared back into the yacht where he opened the seacock, scuttling the yacht he had sailed for the last 20 years. It would have been a hazard to navigation if Tamarind had just been allowed to drift unmanned around the sea. After completing this final task, Wheatley went aboard the rescue boat. While most westbound crossings are direct Southampton to New York, this crossing had an intermediate stopover in Halifax, Nova Scotia. Television crews along with the pilot of the Canadian aircraft that had coordinated the rescue met Wheatley at the pier. 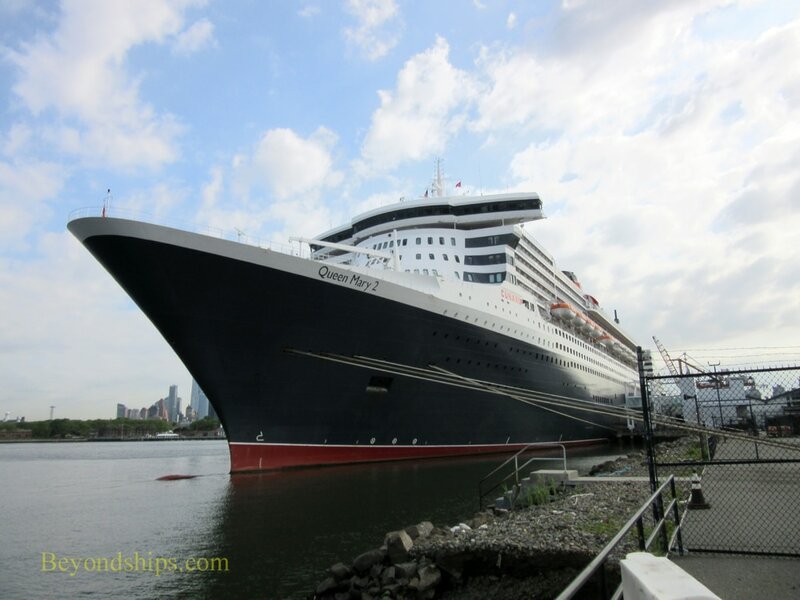 After spending the day in Halifax, QM2 spent the next day sailing through sunshine to New York City where the voyage ended. 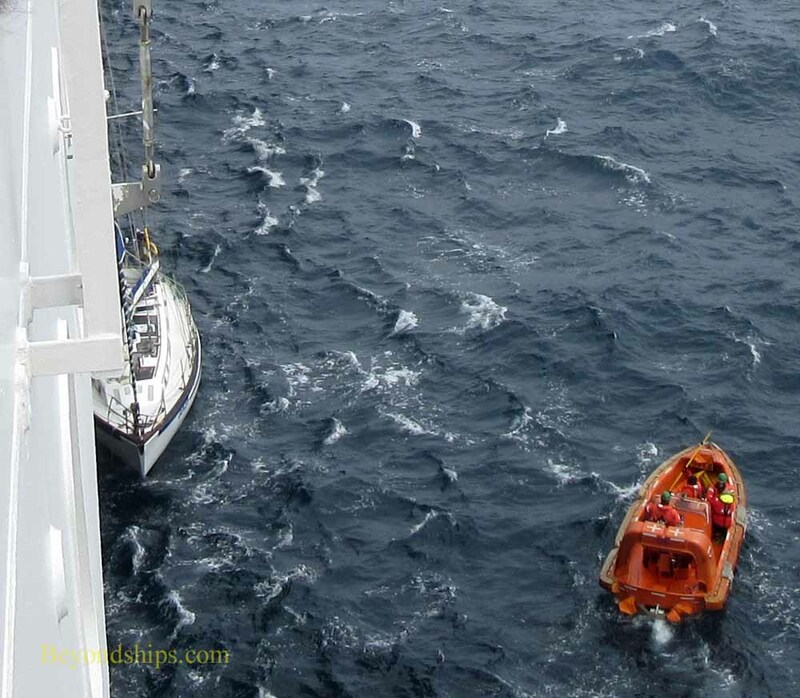 This was not QM2's first rescue at sea but it was a first for most of the passengers. From the captain's first announcement that the ship was going to the aid of a lone yachtsman, there was a sense of excitement and mission among the passengers which grew as the ship charged through the storm. When QM2 reached the rescue area, passengers crowded into places that offered a view. (Naturally, most of the open decks were roped off). After the rescue, passengers packed the Royal Court Theatre to hear a question and answer session by the Captain and Mr. Wheatley. The rescue remained the main topic of conversation even after Wheatley left the ship. 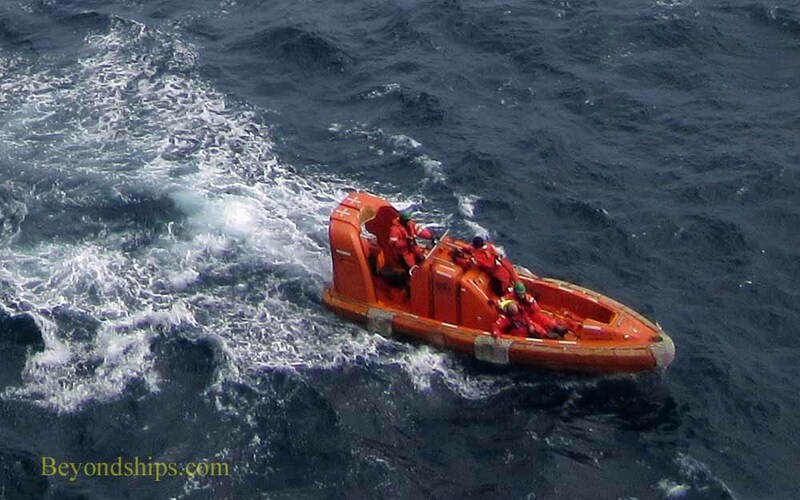 QM2 received no compensation for performing this rescue. Moreover, it was not without financial cost. As noted earlier, QM2 had to travel 200 miles out of her way in order to get to the rescue site and had to do so at increased speed. She then had to travel at increased speed in order to make it to her next port as scheduled. Inasmuch as fuel consumption increases almost geometrically as a passenger ship's speed increases, the cost was not insignificant. Furthermore, going to the rescue was a voluntary, selfless act. QM2 was under no legal obligation to go to the rescue. Inasmuch as there was already another ship on the scene, there would have been a valid excuse for declining the request. Above: The rescue boat in the water. Below: The rescue boat approached Tamarind now nestled along side QM2. Above: Mr. Wheatley and Captain Wells with the officer and crew of the rescue boat. Finally, the rescue was not a simple task. Care had to be taken so as not to jeopardize or inconvenience the passengers and crew. The ship had to be skillfully maneuvered. Bravery was required for the officer and crew of the rescue boat to venture down the side of the liner and into such a rough sea.